Mattress protectors do just what they say…they protect your mattress. 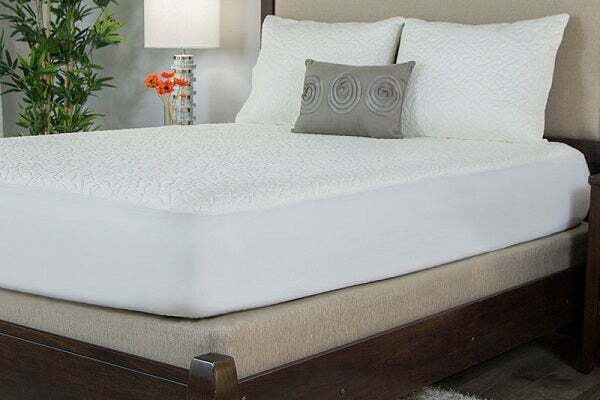 They are not the same as a mattress pad or mattress topper, which are meant to enhance the comfort of your mattress. Mattress protectors protect your mattress from stains, spills, and bedwetting. But what else makes them so important? By protecting your mattress from the elements, so to speak, you can prolong the life of your mattress. The internal materials of your mattress do not break down as fast when you use a mattress protector. By preventing spills, mattress protectors also protect against mold from forming in the fibers of your mattress. Using a mattress protector on any type of mattress provides health benefits to those who sleep on the mattress. Mattress protectors seal out allergens (like pollen and dust mites) and even bed bugs. Mattress protectors can be designed with heat and moisture management properties, which in turn allows for a more restful sleep. There are some protectors that go on your mattress like a fitted sheet, and others that cover the entire mattress. Those that cover your entire mattress will feature a sealed zipper closure and provide the highest level of protection for your mattress. These can also be called “mattress encasements”. Consider adding extra protection to your pillows, as well. For most, pillows are the closest thing to your face throughout the night. Shielding yourself against allergens and other sleep inhibitors is a no-brainer. And, like mattress protectors, pillow protectors can extend the life of your pillow. While we advise getting a mattress protector for all mattresses, new or old, we especially recommend getting one for mattresses that are floor models or open box items. Not only have these mattresses experienced some wear already, you also want to protect yourself from possible allergens.